This is a wide-screen moving ‘dodge’ game. 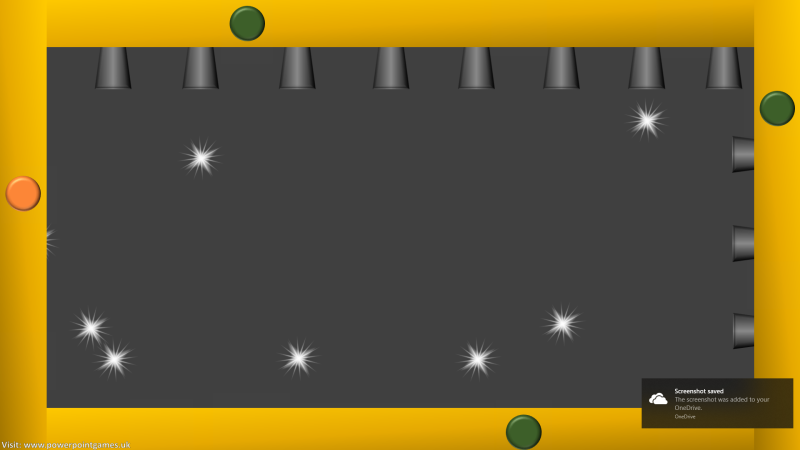 From your starting position, you need to make your way to a circle that will appear on the yellow frame. Once you have got to this and clicked it, another circle will appear for you to get to and click. 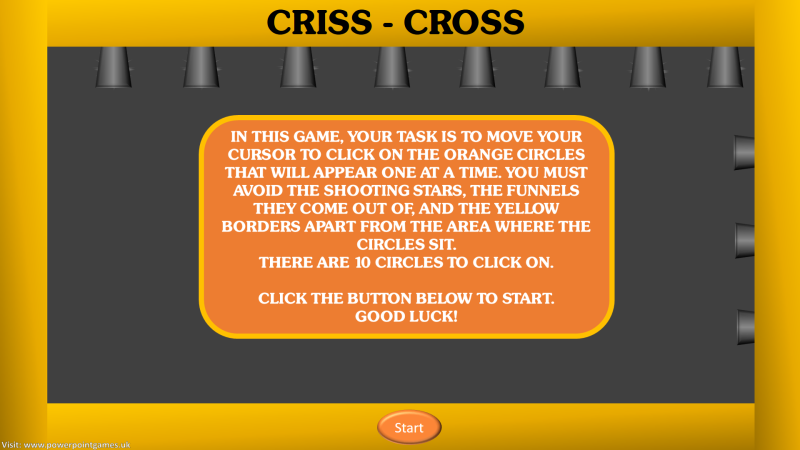 You will criss-cross around the screen until you’ve clicked on all ten circles.